The Fort Erie Economic Development & Tourism Corporation (EDTC) is an independent, stand-alone corporation. It was established this way by the Council of the Town of Fort Erie so they had a means to consult with and support the business community in a more business like approach. For that reason, and to protect their business confidentiality, the Council also supported that the EDTC be established offsite from the Municipal Town Hall. The Fort Erie EDTC operates within a client-based policy. Residents of Fort Erie, the general public and members of the development and investment community are encouraged to approach the EDTC with any questions or concerns that fall within the EDTC mandate; more specifically, business development, property acquisition and development, development policies and relevant economic analysis. • Networking with economic development counterparts throughout Niagara via the Niagara Development Corridor Partnership, as well as across the Province and into the United States. The EDTC is staffed by trained and experienced professionals who follow industry best practices in terms of client development and service (confidentiality is highly respected). In addition, while the EDTC receives significant annual operating funds from the Town of Fort Erie, this serves as a base to ensure continuity of process through a fee for service contract. Within that fee agreement, the EDTC is responsible to be the main advocate for business in Fort Erie. The agreement expects the EDTC to speak on behalf of business and encourages the EDTC to present arguments, both for or against a particular Town policy that they feel hinders responsible business development. Call our toll free number, send us an e-mail, or visit our office and you’ll be sure to find a member of our professional staff ready to help you. Board meetings are generally held in the last full week of each month. While the EDTC does not have a policy regarding public access to these meetings, the only precedent we have is for clients on a delegation based appointment. This is due primarily because the agendas are very full and the need to respect business confidentiality is paramount. Each year, as required by the Canada Business Corporations Act, the Fort Erie EDTC conducts is Annual General Meeting (AGM). The AGM, held annually (usually in April), is supervised by the Fort Erie EDTC’s corporate solicitor (Mr. David Hurren) and audit firm (Durward Jones Barkwell & Company LLP). The Fort Erie Economic Development & Tourism Corporation is governed by a 5 member Board of Directors, who, at the Annual General Meetings are joined by the Membership of the Fort Erie EDTC to review and ratify the annual program of economic development rendered by the Fort Erie EDTC and fulfill AGM responsibilities. The Directors of the Corporation, save and except the two members appointed by the Municipal Council of the Town of Fort Erie (the Mayor and a Councillor), are elected by the Membership, from the pool of eligible candidates (the Membership), to serve the Corporation, throughout the year and attend the Corporations regularly scheduled Board meetings. Elections are conducted at the Annual General Meeting and are facilitated by the EDTC’s corporate solicitor. The Membership of the Corporation is comprised of local business and community stakeholders who have either served the Corporation as a Director in the past, or who have demonstrated extraordinary service to the Corporation in a professional capacity. In the event of a vacancy within the Membership, the Membership can request that the Directors conduct a recruitment process and provide a recommendation to the Membership at the following AGM, whereupon the Membership will make a decision/choice as a whole to fill the vacancy at that time or defer to fill the vacancy at that time. There are 4 officers of the Corporation: Chairman, Vice-Chairman and the Treasurer who are voted upon annually and the Corporate Secretary who is the General Manager of the EDTC. The public are, and have been well served with the full and transparent accounting of the EDTC operations. Each year, our Corporate filings are completed by both our corporate solicitor Mr. David Hurren (minutes and letters patent) and via our annual, independent professional audit done through Durward Jones Barkwell & Company. In addition, two members of the five member Board of Directors include the Mayor of Fort Erie and the Councillor designated under Boards & Committees structure of the Town of Fort Erie. The only difference in policy between the Board and Town on this matter is that typically the Town revises its business subdivision appointments every two years, while the EDTC delegate is appointed for the full term of Council (for continuity and because of the critical learning curve required). Each year the EDTC provides the Council with a detailed 3 year budget plan, backed up by action strategies and a strategic plan. These are submitted as public documents during the Town’s annual budget process. The General Manager then meets in public session and presents the new year budget plan and presents a detailed performance review of the current years activities. The Council of Fort Erie have as much opportunity to question the submissions and reports as they deem appropriate, and all is conducted in public session. Detailed minutes and client reports are excluded for obvious reasons of client confidentiality. To review the Fort Erie EDTC's Procurement Policy (Purchasing Policy & Tender Guide) please click here. To review the Fort Erie EDTC's Conflict of Interest Policy and Guidelines please click here. Caralee is a strong advocate for the promotion and development of economic development and tourism services in Fort Erie. She is a life long resident of Fort Erie and cares deeply about the future of the community. Caralee has been with the Fort Erie Economic Development and Tourism Corporation (FE: EDTC) since 2007 where she began as Executive Assistant to the General Manager, Junior Economic Development Officer and Senior Economic Development Officer. Caralee has since transitioned into the role of General Manager. Caralee holds a Bachelor of Tourism Studies degree from Brock University, where she graduated with honours. Caralee has also earned her Ec.D. designation through the Economic Developers Association of Canada and the University of Waterloo. Caralee is currently a member of the Niagara Development Corridor Partnership Inc., the Fort Erie Live Racing Consortium, the Economic Developers Association of Canada and the Niagara Entrepreneur of the Year Awards Nomination Committee. 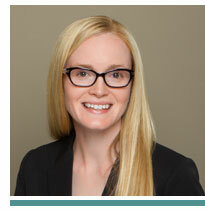 Kirsty holds a Bachelor of Political Science degree and a Certificate in Business Studies from McMaster University. Kirsty joined the FE: EDTC in April 2017 as the Executive Assistant to the General Manager. She demonstrates her passion for business administration, tourism planning and development, and is the lead to many of the FE: EDTC's tourism industry products. 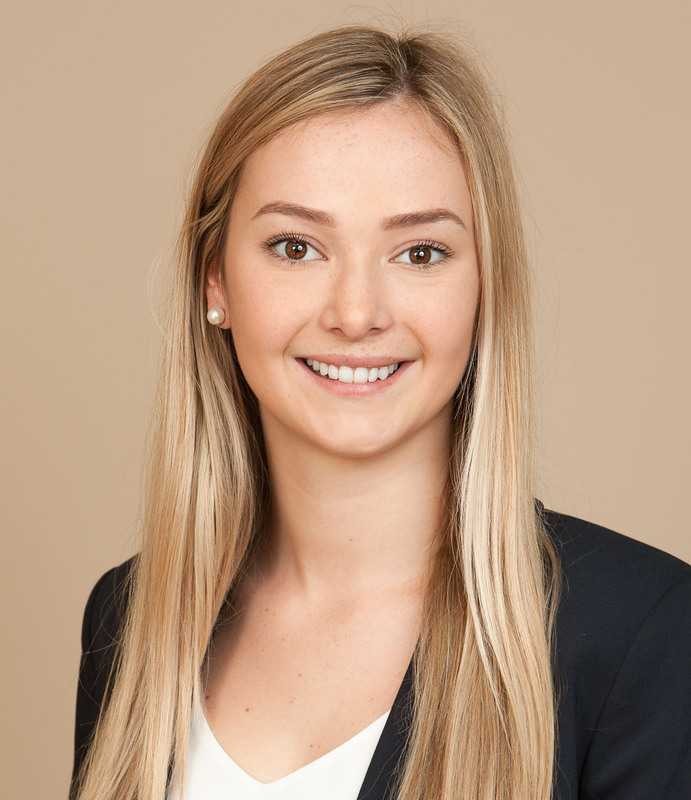 Kirsty is currently working towards her Economic Development Certificate from the University of Waterloo and is a member of the Economic Developers Association of Canada. The Fort Erie Economic Development & Tourism Corporation is governed by a Board of Directors comprised of the Mayor of the Town of Fort Erie and one Municipal Councillor, along with three local business professionals who have a demonstrated understanding of the local, international and global business climate and commitment to the economic and social well-being of the Town of Fort Erie.